The COSTA RICA ULTRA TRAIL, LA TRANSTICA is a free pace Trail race, with a prologue and 5 stages with points of supply, assistance and bivouac for a total distance from 120 (Adventure) to 196 kms (Extreme). 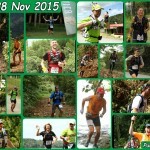 The COSTA RICA ULTRA TRAIL, LA TRANSTICA is first of all a human and sports adventure. The main objective of the race Rica is to discover the Costa Rica and its way of life and to share this experience with the locals through a sporting competition with humanitarian goals. We propose to share an adventure where the surpassing of ourselves but also the aid and the solidarity will be the soul of this challenge, in the middle of a particularly exceptional natural frame. Between two oceans, the race defines itself by a unique crossing of a natural amazing paradise in the discovery of a new culture and way of life, “Pura Vida”. From the beach of Manuel Antonio on the Pacific Coast up to Puerto Viejo de Limon on the Caribbean Coast; A true human and sports adventure. 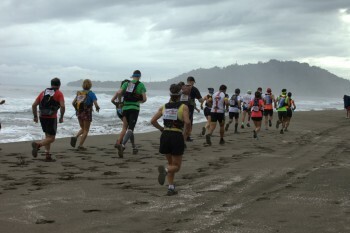 The change of scene is total; the runners are plunged into the deep heart of Costa Rica far from tourist standards. Type: Ultra Trail in 5 stages. Date: From November 19th evening to November 29th, 2014. Region: Costa Rica crossing from east to west, from the Pacific Ocean to the Caribbean coast through the mountains and jungle of the Central valley. Extreme race: 196 km from 30 to 40 km per day with a total positive difference in level of 7 800 m.
Adventure race: 120 km from 20 to 30 km per day with a total positive difference in level of 3 800m.